Renowned chef Tommy Banks and his family have teamed up with their friend and restauranteur Matthew Lockwood, to open their second restaurant, Roots, in York this September 2018. Following on from their award-winning and one Michelin star restaurant with rooms, The Black Swan at Oldstead in North Yorkshire, Roots will be bringing the Banks’ unique ‘farm-to-fork’ philosophy to the city for the first time, introducing their innovative and holistic approach to hospitality to an urban environment. The new restaurant and menu will be aligned with Tommy’s debut cookbook, also named Roots. In Roots, Tommy redefines the seasons into three growing groups inspired by Oldstead’s ingredients, which he describes as the ‘roots’ of their food and which he aims to use throughout the year. Instead of the traditional four seasons, Tommy works within three defining seasons: The Hunger Gap, Time of Abundance and the Preserving Season. At the time of opening the daily menu will be centered around preservation. 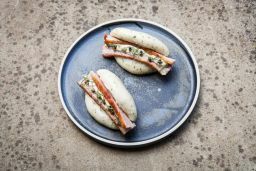 Dishes will include Lamb and Fermented Turnip, Cured Trout, Fennel Kimchi and Meridian Apple, Raw Beef with Chilli Ferment and Smoked Bone Marrow and Smoked Eel Doughnuts. As well as the main menu, there will also be a ‘Roots Feast’, which will be a chefs selection of dishes, brought to the table in four servings.